Creamoholics and their families, friends and barkadas are in for a unique bonding experience as Cream-O gathers them for an afternoon of outdoor movie watching and munching on their favourite cookie treats. Bringing Creamoholics together through the love of movies and eating cookies, the Cream-O Flix Fest will be held at the Quezon City Memorial Circle on Saturday, March 11, 2017, starting at 2 p.m. Admission is free. The Cream-O Flix Fest promises to keep the whole family entertained throughout the exciting afternoon with three movies in a row. Kids and kids-at-heart will enjoy watching “Minions” while the teens can sing to “Pitch Perfect 1”. Capping-off Cream-O’s first-ever outdoor movie marathon event is well-loved romantic-comedy “50 First Dates”. 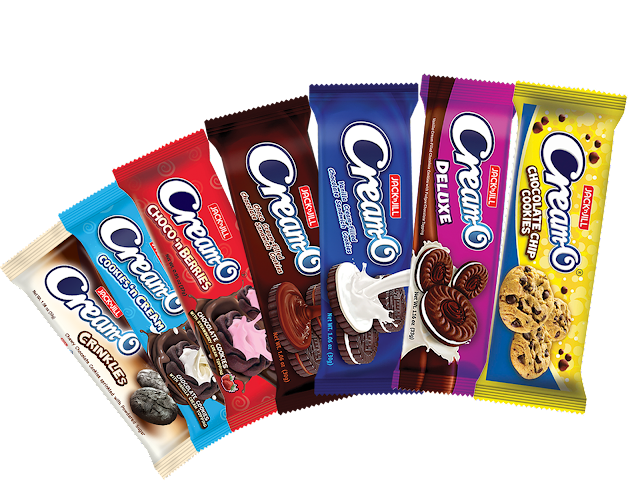 More than watching the family-oriented flicks, Creamoholics can indulge in munching on Cream-O cookies and even in making their own personalized Cream-O cookies in “Cream-Ofied Creations”. The activity encourages Creamoholics to jazz-up their Cream-O cookies in four easy steps: choose, dip, sprinkle and drizzle. First they can choose their favorite Cream-O variant (Vanilla, Choco Fudge, Deluxe, Crinkles, Chocolate Chip, Cookies ‘n Cream and Choco ‘n Berries) and dip it in rich chocolate (milk, dark or white), peanut butter or whipped cream. They can add extra color, texture and flavor to their creations with a wide variety of toppings and even drizzle on some delicious chocolate, caramel or strawberry syrup. Other activities to look forward to include “Unlock the Popcorn Stash”, “Guess the Movie” trivia game and “I Love Cream-O” photo booth where Creamoholics can personalize the experience by putting up their names. There will also be pocket games, live acoustic band performances and raffles in between the movies. Prizes to be given away include Robinsons Gift Certificates and Fujifilm Instax mini cameras.